Wildlife Photography or "Camera Trapping"
These pictures were all taken with The Time Machine. A variety of sensors were used. In each case the creature triggered the Time Machine, which in turn tripped the shutter of the camera. The wide variety of sensors makes for an exceptionally flexible camera trap. In this picture, notice the black cable coming out of the right side of the bird feeder. This is an acoustic sensor, and the feet of the jay have triggered it. 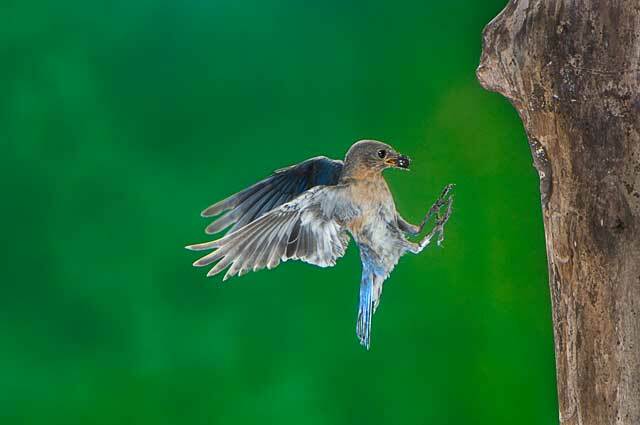 You don't have to sit at a window waiting for the bird to land, and you don't have to be close to the bird feeder. Just set it up and come back an hour later. 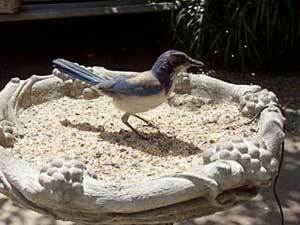 You'll have 50 different pictures of birds in your feeder. If you don't want to take many pictures in a row, you can program a "Timeout" interval to prevent retriggering too quickly. 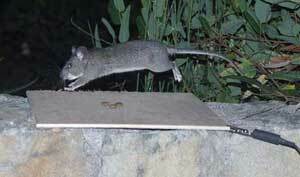 In this picture, a mouse is seen leaping over a board. At the lower right corner of the board you will see a clip-on acoustic sensor. When the rat touched the board, the sensor triggered the camera, which was set to take a flash picture. No one (but the mouse!) had to sit around at 3 AM waiting for the action. The camera shutter was triggered automatically when the action occurred. This chipmunk was captured with our IR beam sensor, which is similar to the systems they use in stores to know when someone comes through the door. 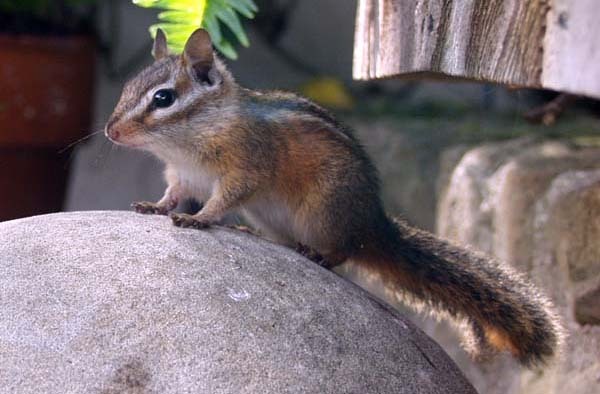 The chipmunk interrupted the beam when he hopped on the rock. The IR beam sensor is commonly used for camera trapping (see Accessories). 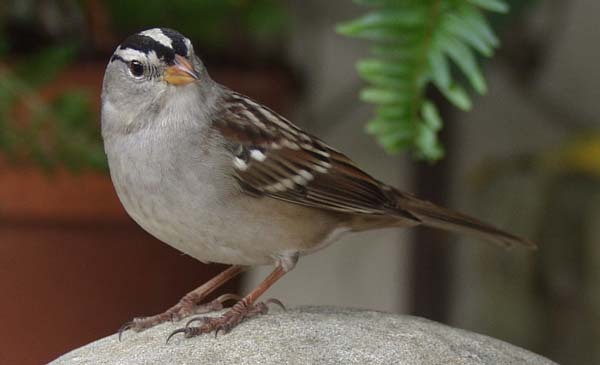 While waiting for chipmunks the Time Machine caught this white crowned sparrow. 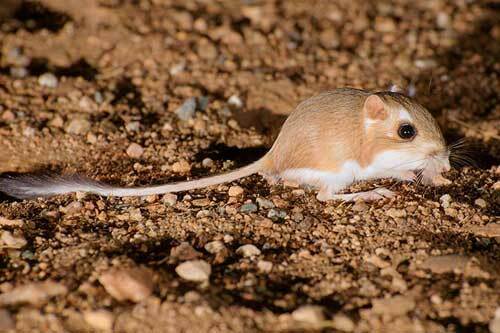 This baby desert kangaroo rat was captured by Brian Blackwelder near Palm Springs, California. He used the clip-on vibration sensor attached to a piece of chipboard under the dirt, and three off-camera flashes. 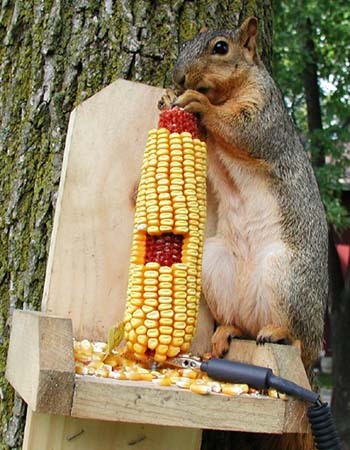 Mel Gehrs in Downers Grove, Illinois captured this squirrel in his back yard. The vibration sensor is clipped to the corn cob. 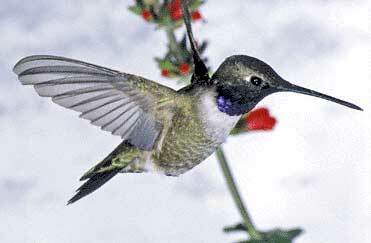 This hummingbird was captured by Michael Crider of Avondale, Arizona. He uses an infrared beam sensor to trigger the Time Machine. Click Here to see more of Michael's pictures. The following two pictures were taken by Ed Erkes. 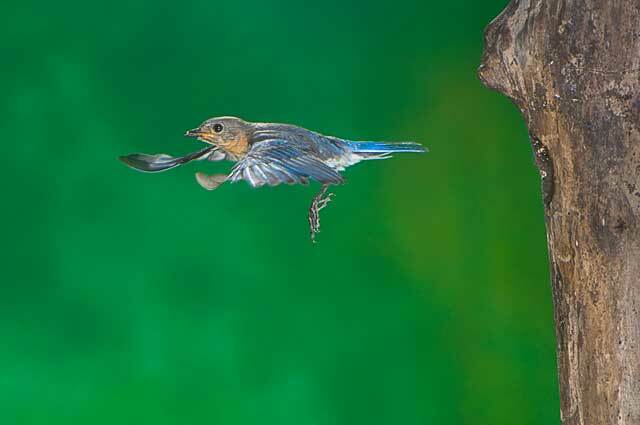 He used two IR beam sensors so he could take pictures of birds both coming to the nest and leaving it. The sensor must be placed in advance of the flight path to allow time for the camera shutter to open. You can see more of Ed's work here: http://members.photoportfolios.net/ederkes. 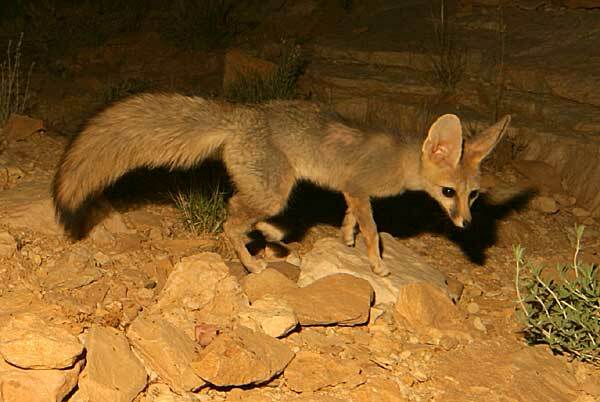 For a more exotic subject, this image shows a Blandford's fox, captured with the Time Machine by Omar Attum in the Ibex Reserve, Saudi Arabia. Prior to this, the species was not known to exist in the reserve. This is a good example of how the Time Machine can be used for camera trapping of wildlife in the field. 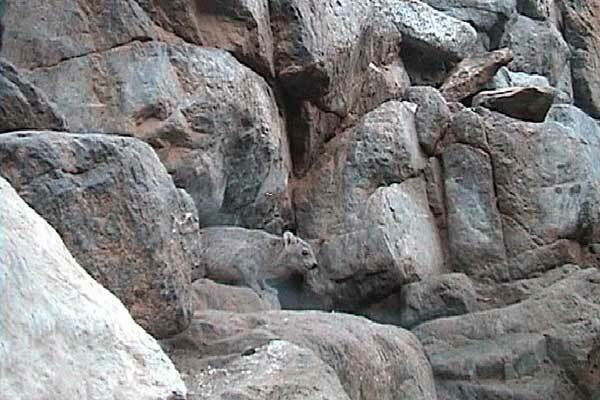 This rock Hyrax is another good example of a camera trap with the Time Machine. This image was captured by wildlife author and film maker Gabriel Mikhail at Wadi El Gemal National Park located on the southern Red Sea coast of Egypt.